In 2017, with "The Ellen DeGeneres Show" consistently ranking among the highest-rated syndicated TV shows and the film and television industry at large consistently working toward increased visibility of LGBTQ characters, a declaration of that sort doesn't feel quite so jarring. 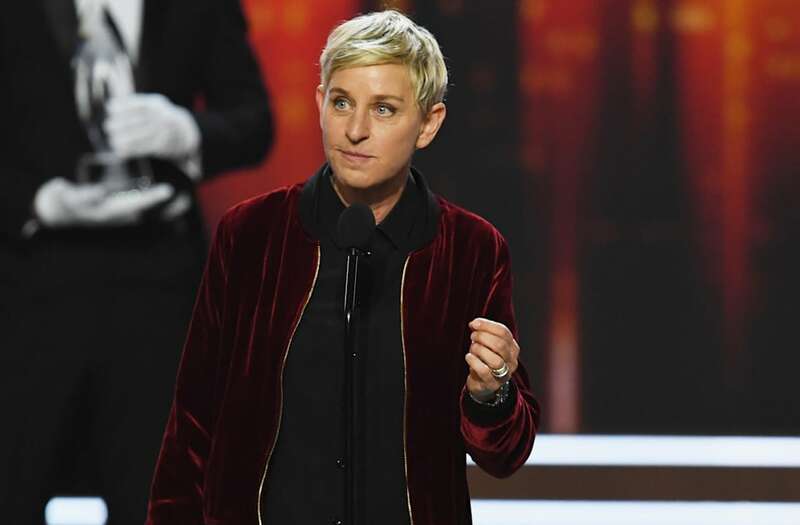 But two decades ago, when Ellen Morgan — the quirky, sweater-vest-clad title character of DeGeneres' then-sitcom, "Ellen" — spoke those words on network television, the confession was revolutionary. To commemorate the 20th anniversary of the iconic five-word phrase that nearly destroyed — and later launched — her career, Degeneres sat down with Oprah Winfrey and Laura Dern (both of whom played integral characters to Ellen's coming out story line) on "The Ellen Degeneres Show" Friday to discuss the repercussions of "The Puppy Episode." After the episode aired, Winfrey remembers receiving hate mail, wherein angry viewers called her the N-word and told her to "Go back to Africa." Dern, who played Ellen Morgan's love interest during the now-famed episode, admits that the role put a damper on her career for some time as well. But, as the episode (and DeGeneres herself, really) has come to be regarded as a milestone in television's push toward LGBTQ representation onscreen, all three women are grateful to have been a part of it. "Obviously, we have come a long way in the past 20 years. Even when this show started, the network was very uncomfortable with me even talking about my sexuality or my relationship," DeGeneres said during her talk show. "Now we're here and I've done a whole show about the fact that I'm gay, so we have come a long way. But we still have a long way to go to make sure everybody has the right to be who they are." In honor of the 20th anniversary, all episodes of the "Ellen" series, including "The Puppy Episode – Parts 1 & 2", are now available to stream for free in the Throwback section of the ABC app.